The promised extra photo. The rehandled moose axe, now with beaver stick handle, in the bottom. 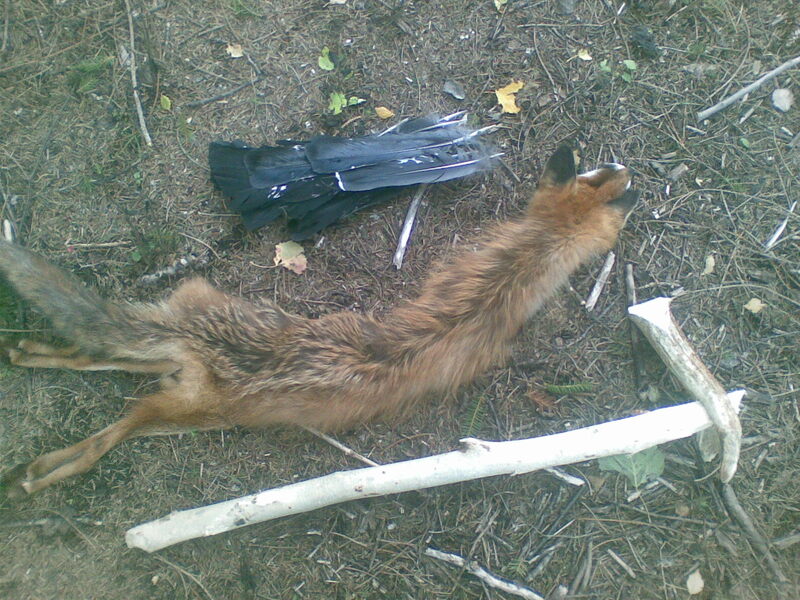 Above is a just fleshed fox skin and some capercaille tail feathers. Both shot by my kid brother. that looks quite impressive, that axe. Does it work well too?